One of the recurring themes you hear from naysayers who are unhappy with Facebook’s $19 billion purchase of WhatsApp is that it does the exact same thing as any number of messaging apps. Which is true. It just does it better and easier. Take Skype, which is often held up as an app with even more functionality than WhatsApp: it allows texting, talking, and video chatting. But Skype requires you to sign up. It puts the onus of finding friends on you. And as any Skype user can attest, it’s buggy: IMs show up two days after they were sent. Friends online status get updated seemingly randomly with intrusive pop-up messages. And, the interface is often counterintuitive. WhatsApp may not be breakthrough, but it’s simple and if you look at its core user base, you’ll understand why. WhatsApp didn’t break through with affluent American teenagers, they of the unlimited texting plans and unlimited iPhones— it got its traction overseas, with people whose friends didn’t always have smartphones, who had to pay for each text message, more for an MMS. In that sense, it’s similar to the Chinese WeChat, which is designed to work as well on an older Android technology as it is on the latest version of iOS. The recently announced addition of voice calls should play into that strategy too, provided it works as simply and easily as the chat app. The 40 million WhatsApp users in India and the 38 million in Brazil don’t have the same access to unlimited calling plans the way their American peers do. So a simple way to initiate and receive voice calls that doesn’t feel overly corporate (Skype) should be right in WhatsApp’s wheelhouse. And while we’re riffing on WhatsApp, let’s not forget that a chat app— of any sort— is fundamentally different than Facebook, which bears a stronger resemblance to AOL circa 1998 than to any of today’s new crop of apps. Facebook allows users to spend hours doing anything but communicating with each other: playing CandyCrush, reading articles, stalking old girlfriends. It’s a win for Facebook because they get to serve up countless ads during your hours-long gaming and stalking visit and it gives people who aren't inherently social a reason to visit the app. If you’re going to WhatsApp, on the other hand, the odds are high you’re going to communicate with someone. Not browse or dilly dally. 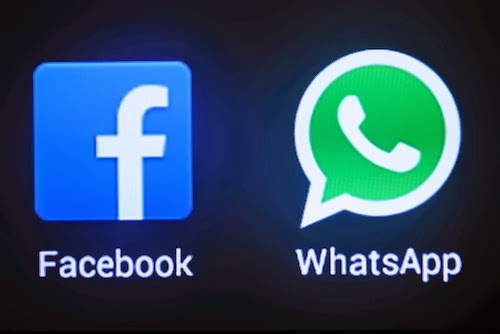 So if Facebook is smart, they’ll keep WhatsApp separate. And just be happy knowing that the Facebook brand gives users the best omnivore app (in the original Facebook) the best photo app (Instagram) and now the best messaging app. As companies from P&G to Disney can attest, there’s nothing wrong with that strategy.